“Exceed One Explorer” simplifies the operation of SharePoint sites and documents. 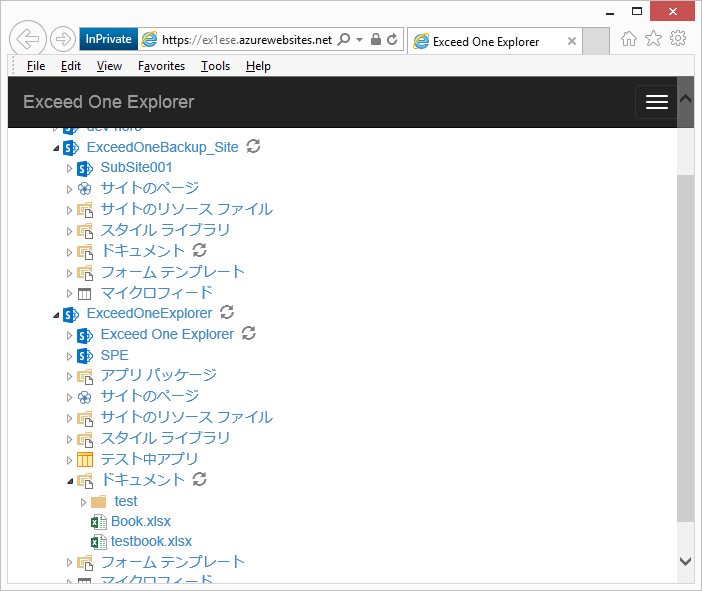 “Exceed One Explorer” provides a Windows Explorer-like interface to SharePoint Online. You can access across the site collection, hierarchical display of Site, and directly access to sites and documents. You can purchase in the “Microsoft Office Store”. *If you want to purchase other than subscriptions, please contact us.